On Thursday night, a bombshell story broke in the from of an op-ed by Amazon CEO and owner of the Washington Post, Jeff Bezos, in which he alleged that American Media Inc. (AMI), the company behind the National Enquirer, and run by longtime Trump friend David Pecker, had blackmailed him with text messages and compromising photos. AMI, in the past, has been investigated for their ties to Saudi Arabia, and during the Trump presidency, Pecker even brought a man named Kacy Grine to the White House as a guest. Grine is an advisor to one of Saudi Arabia’s richest men and has worked ‘as an intermediary between the Saudi Crown Prince Mohammed bin Salman and Western businesses,’ according to the New York Times. In the 2017 trip to the White House Grine and Pecker had a chance to speak with President Trump as well as his son-in-law Jared Kushner. AMI threatened to release a plethora of text messages and compromising photos between Bezos and another woman, if he did not oblige. Instead of agreeing to any deal with AMI, Bezos elected to tell his story in a Medium blog post. Now, a man named Gavin de Becker, who is working on behalf of Jeff Bezos to investigate how these text messages were obtained, tells the Washington Post’s Roig Franzia that they do not believe that Bezos’ phone was hacked. Instead he thinks it’s possible that the leaks were politically motivated and that a “government entity” accessed the contents on Bezos’ phone. This investigation is still in progress, and this apparent blackmail attempt may put David Pecker in hot water. Pecker recently signed an immunity deal with federal prosecutors in the inquiry into the $150,000 hush-money payment given to Karen McDougal on behalf of Donald Trump. AMI has previously admitted that it had paid off McDougle in order to prevent her from speaking publicly about her affair with Trump. If Pecker did anything illegal here, which seems like a real possibility, that immunity deal may become null and void. 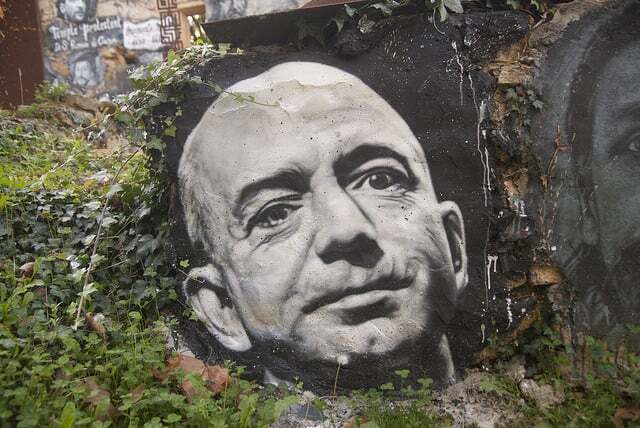 The new claim that a government entity could be behind the stolen data from Bezos and that they could have been motivated by political ideologies seems like it could open up a whole new can of worms not just for Pecker, but potentially for entities within the government itself.